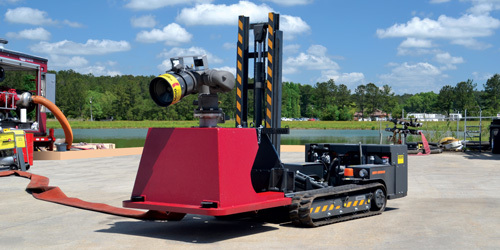 5,000 GPM RTM delivers attack capabilities in extreme fire situations without risking firefighting personnel. 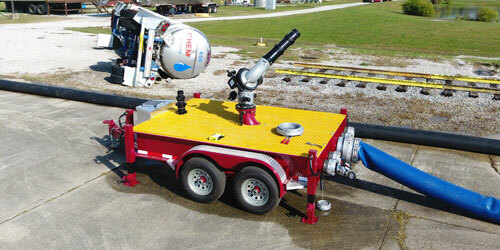 Quickly protect industrial assets during any fire with one of our extreme high water flow monitor trailers. Available from single 500 gpm models to dual 2,000 gpm models with manual or remote controlled monitors. 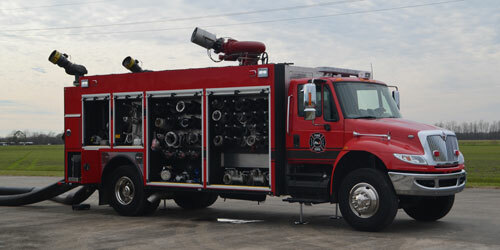 Industrial quick attack features an overall flow rate of 18,000 GPM, two 12” intakes, and plenty of equipment.